So you've taken our advice and are ploughing on with your exercise routines. Yes, you could buy yourself a fruit-packed smoothie from the supermarket that you run by each morning, or you could save yourself some cash and invest in a blender. But... not all blenders are created equal, as we discovered while reviewing the monster that is the VonShef UltraBlend 1000W Blender. 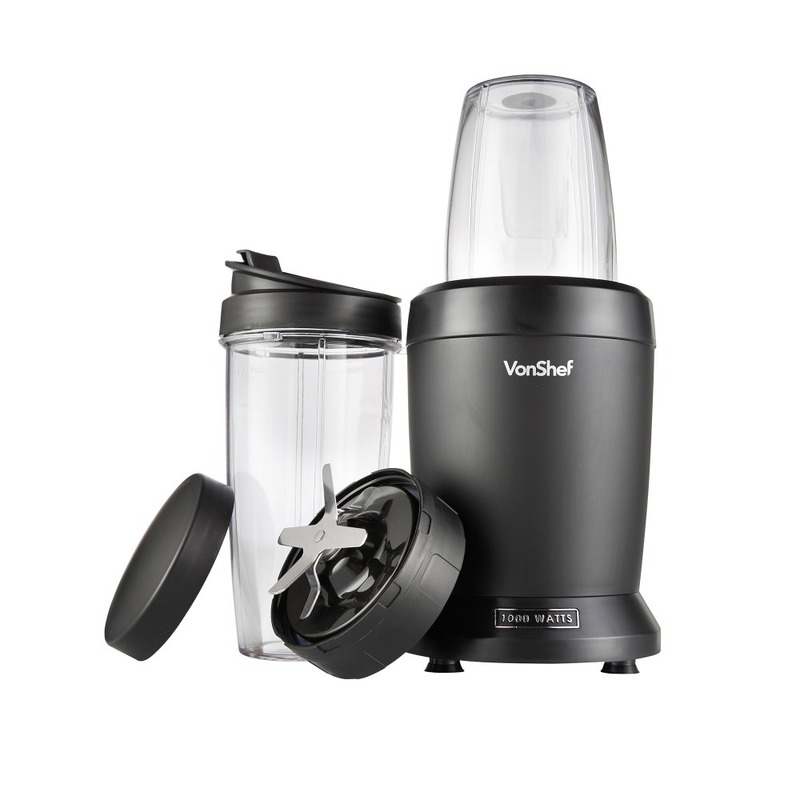 VonShef might not be an overly well-known name in kitchen appliances, and you might automatically think of other brands of blender when considering which one to buy. However, the VonShef UltraBlend has two things to sway your interest; things that you might not normally find together on other makes – power and price. As the name suggests, the VonShef UltraBlend 1000W Blender uses a 1000W motor to spin those knife-like blades at up to 25,000 times per minute. Fruit has zero chance against that. 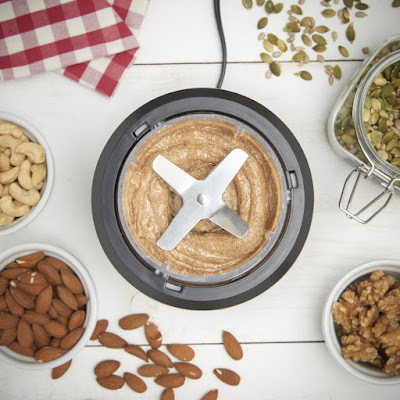 Compared to other blenders and juicers we've reviewed in the past, it pulverises pretty much anything we put in it in moments. Fruit, vegetables, and even small seeds were completely liquefied – good news for fitness people. There are no buttons or controls on the blender itself, as you merely press down and twist in the cup to start those ferocious blades. Included along with the UlraBlend is both a 800ml and a 1litre BPA-free cup, a clip on lid, and also 'sip & seal' lid for drinking your smoothies on the go. The cups, just like the blender itself, are pretty chunky, so aren't really something you could hold while running, but are instead geared toward carrying in a bag to drink later. At the office and that. However, because the cups are wider, they are easier to clean, both in the dishwasher and by hand. Also, there are suction cup feet on the base of the blender to keep it steady, although we found that even when blending tough items like ice cubes (which it handled easily) it didn't wobble that much at all. So it has the power... what about the price? 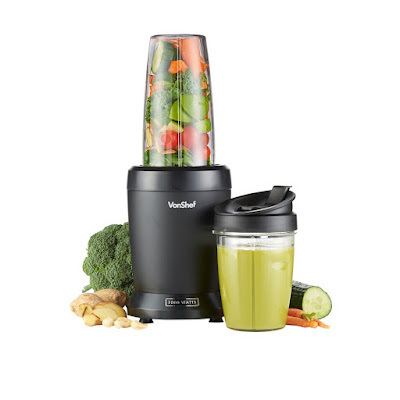 The VonShef UltraBlend 1000W Blender weighs in at a fraction of the cost of leading competitors (“Faster than a bullet, fiercer than a ninja” as the website claims) which will surely turn a few heads. Right now it is less than £40, which is great, making it a bit of a bargain when compared to buying pre-made smoothies and juices. Our one niggle would be the operation. We wish that there was in fact an on/off switch to start the blending, instead of just the push and twist action. It might be because ours was brand new, but we occasionally had a moment or two of bother untwisting the cup to get it out to stop the blender. That might improve over time and use, but a simple switch would have been nice. 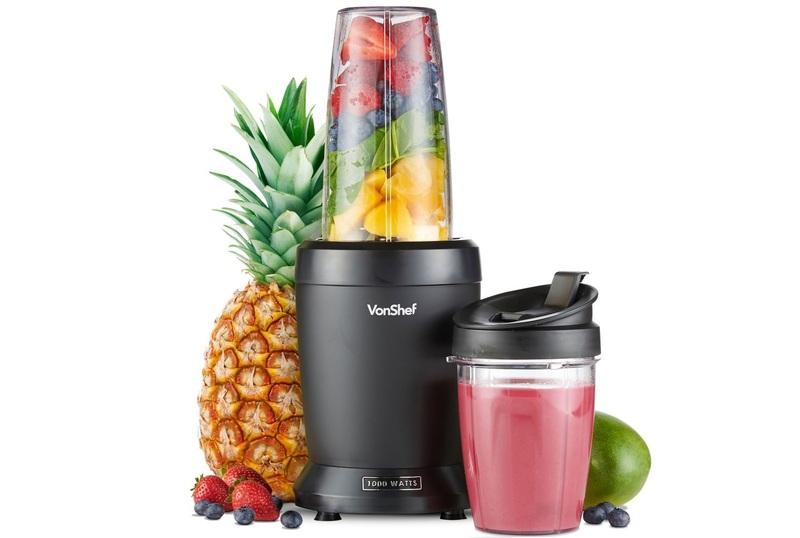 So apart from that, the VonShef UltraBlend 1000W Blender, is pretty remarkable, and at a great price. Regardless of if you have taken on a new exercise challenge, this kind of blender is essential these days, and this is a good one.